Gosselin Twins Disrespect Mom On TV? Do You Feel Kate Gosselin’s Pain? If You’re A Mom Whose Experienced Rebellious Teens, You Might Have Felt Sorry For Kate In Her TODAY Show Appearance… OR You Might Think Putting Her Kids on TV Is The Cause Of Their Problems! 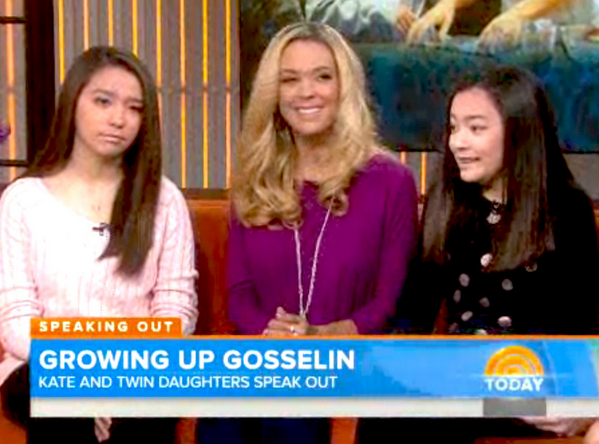 Should We Even Post The Gosselin Twins Story?! This was a tough decision for Channelmom.… I mean, c’mon, there’s so little good stuff for moms in the media, as it is! So, why would we want to post a story about a mom having trouble? Hmmm. Good question. We finally decided it was a relevant story to get moms thinking about what “fame” and “celebrity” does to children! Is that good parenting? Does Kate need support from other moms?